Brendan Rodgers may no longer be managing in the Premier League, but the ex-Liverpool boss certainly hasn’t been forgotten. He was recently caught running in the Belfast Marathon, and one bystander gave him a somewhat familiar pep talk as he ran by. The Norther Irishman was always a popular figure when he was managing on Merseyside, which was in large part due to his post-match interviews regularly proving to be great sources of comedy. He was known for regularly using one phrase to describe both his players and the team as a whole, regularly praising the ‘great character‘ they showed. The fan who caught this clip gave Rodgers a bit of encouragement as he ran the Belfast Marathon, highlighting the character he was showing and chuckling as he jogged past. The former Reds boss may have been out of work since getting the sack earlier this season, but it looks like he could be in line to return at the end of the season. He’s being linked with a move back to Swansea (via the Express), a club where he enjoyed great success between 2010-2012. The Swans were a real surprise package when they first came up into the Premier League, with many shocked when they didn’t drop straight back down into the Championship. They continued to impress and build their status in the English top flight, but this season was unfortunately rather disappointing. 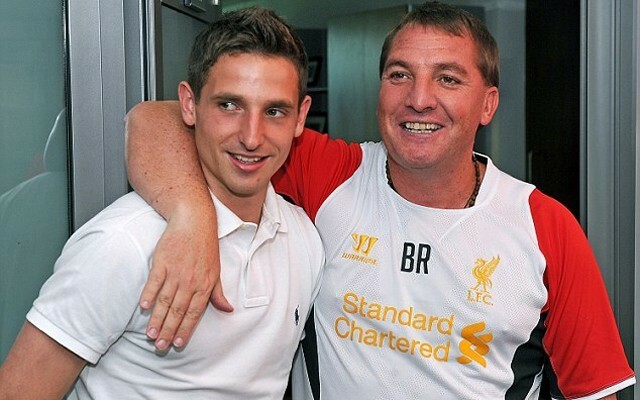 The club will be hoping Rodgers can help them get back on track, and bring some real character back to the Welsh side.